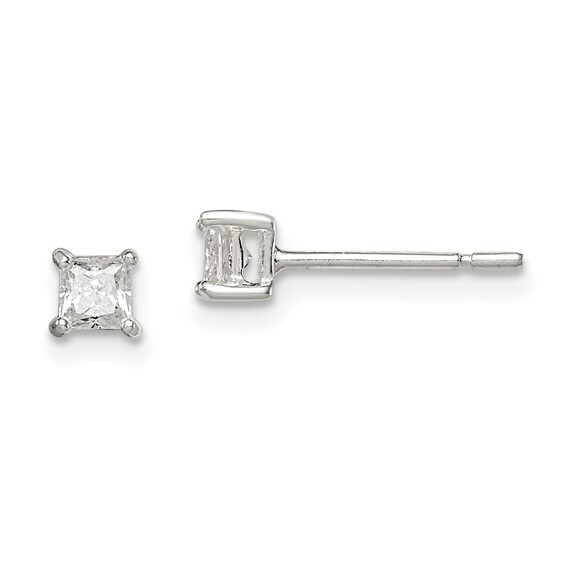 3mm cubic zirconia princess stud earrings are made of polished sterling silver. These very small earrings are perfect for kids. Weight: 1.25 grams. Import.